I'm starting to believe in the gopro curse as I forgot it again. Had just 2 hours to fish mid-day today and made the most of it. Went to a different spot not far by my go to spot as my go to was crowded with people. 3 cranks into my first cast I felt some weight and set the hook, I thought it was a snagged bunker. After 5 seconds or so it came off, started bouncing my jig immediatley and 2 seconds later she hits again. Felt the weight again and felt the headshake too this time. Got her in despite breaking the surface like a blue and it ended up being 24 inches and super fat. Released safely. Caught a 17.5 next cast and landed fish almost every cast for the next 20 minutes, most around 16 inches. It slowed down after that and during the slow period I hooked into a real nice fluke but lost it. It was about the same size as the 24 incher from the limited view I had and the fight. She went ballistic close to shore and shook the hook. 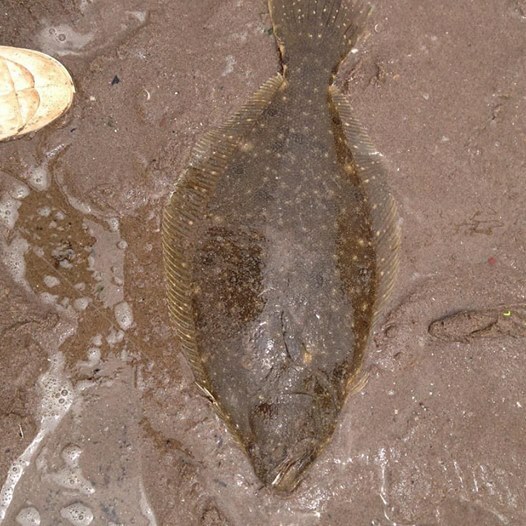 Surprisingly I only saw one other fluke get caught today at the beach. What's the use ,if it chartreus .Nice going .Be fishing that area Wednesday . You got it dialed in Christian, good job. Plenty of Fluke action is always a good thing.